“Watch out for the selfie stick,” my husband said, “oh no! Now you just photobombed a couple’s picture”. Disturbed by the chaos, I resolved on trying to walk with precaution without getting knocked-out by these annoying sticks. The sea of tourists and the heat was getting me on my nerves. How could you properly enjoy a historical site with thousands of people around you with countless cameras? For anyone that has been to a land of mass tourism during the high season, this is a familiar scenario. For this example, I was talking about the Parthenon in Athens, Greece. How can you admire a beautiful temple from two millennial ago without getting into my situation? Luckily, in this post I'm sharing are a few tips and an alternative itinerary. For the main sightseeing landmarks or activities, I would suggest to plan your visit early in the morning. Why not be the first ones to enter? This way you have less heat and the site is much less crowded. If you can, try to travel to these very popular places during the off-season. 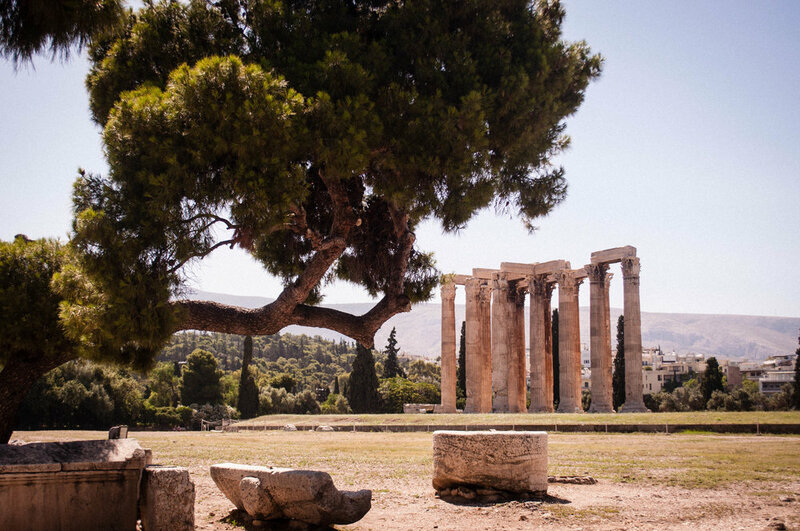 In Greece, there would be less tourists in March, for example. Also, the hot temperatures of September and October are more livable. If you are planning to visit several archaeological sites, there a multi-pass package that allows you to visit multiple sites and it is valid for 5 days. Purchasing the pass in a lesser crowded site will allow you to bypass all the line-up at the entrance of the busier sites. This one was a winner for us, we saved around 2 hours! These tips can be carried over to the choice of one’s accommodations. For example, for our stay in Greece, we decided to stay in Varkiza instead of staying in the Athens or one of the popular islands. Varkiza, the Athens Riviera, is solely visited by Athenians and doesn’t have many tourists, we got to enjoy this little piece of local calm. Also, the prices are not as high as other destinations, which can be great for your wallet! 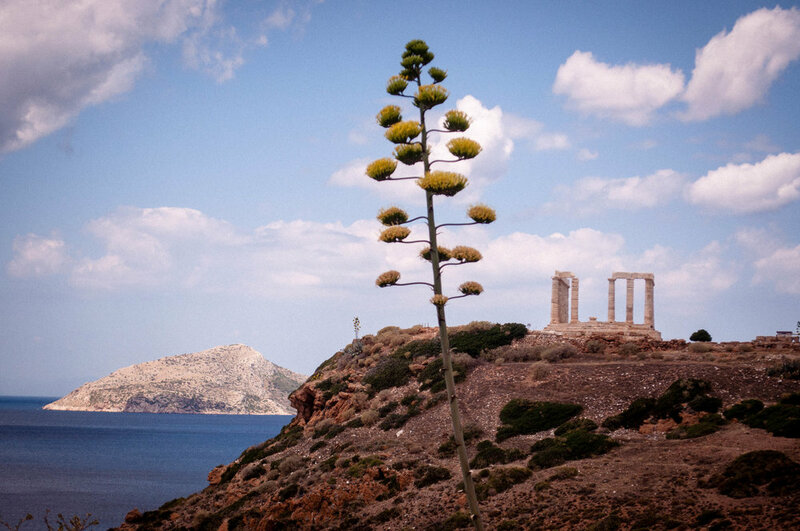 If you decided to visit Greece because of the Islands, you were probably wondering which island to visit. If you are trying to avoid tourists in Greece, I would suggest skipping Mykonos and Santorini and choosing an "Off the radar" island. 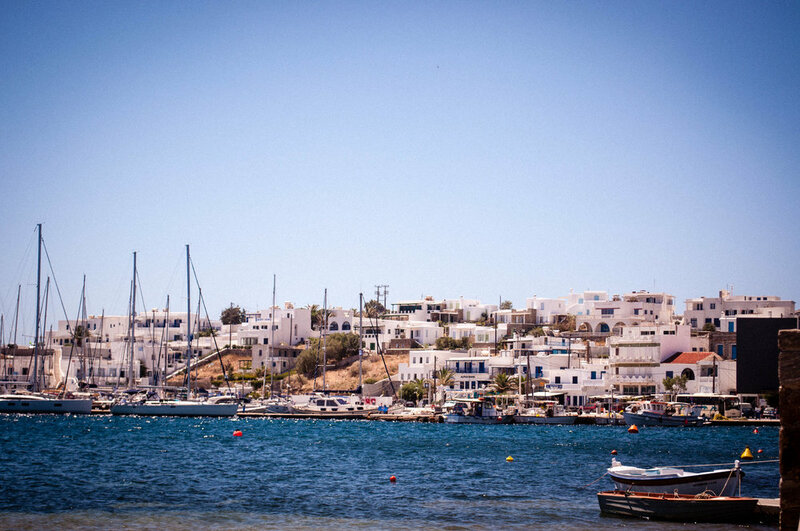 For this trip, we chose Serifos. In the ferry, only 3 other couples/family had chosen it as their destination. Maybe you haven’t heard of these off-track destinations so here are a couple of things to do & recommendations of where to eat and drink. Stay in Varkiza instead of Athens! 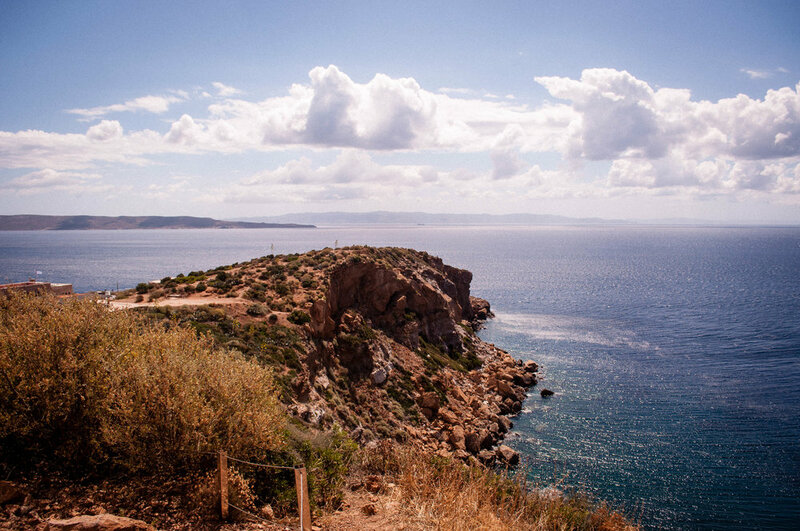 Varkiza is often referred to as the Athenian Riviera. It is where a lot of the Athenians have their summer apartments and where they can quickly escape from the chaos of the capital. Varkiza is located around 40 min out of the capital and it can easily be access by bus. The easiest way to access this beach suburb is with the Elliniko metro station and then you need to take a bus to get to the coast. The accommodations in Varkiza will be less expensive and you will see that you are one of the few tourists in this region. The seaside town has a public beach and a private resort. If you are fully looking to relax and spend the day at the beach, I suggest going to the private beach, Varkiza resort. The public one has a lot of rocks. The entrance fee to the resort is €5 and it gives access to the beach, two long chairs and an umbrella; there are also lockers to put your valuables. The resort has many bars and restaurants for you to enjoy. If you go after late in the afternoon, the entrance is free. The Vouliagmeni lake is supposed to have “healing benefits” due to its thermal waters. We did not have a chance to go since I prefer to go to the beach. Moreover, the entrance is €16 per person. The lake is a little on the outskirts, so you might have to take a bus to get there. There are so many places to eat and to drink that is hard to taste them all! The main street is full of restaurants and coffee shops. Bierhaus, I know, why am I sending you to a German place with Sauerkraut in Greece when I should be sending you to a Greek place to drink Ouzo and eat seafood? However, this place has some good Greek craft beers and a wide selection of European beers. Located away from the main street and into a residential area, it is the perfect place to enjoy a beer, or two, on their terrace. Holy spirit is a trendy bar where you get to hang out at the beach in colourful puffs and with delicious cocktails. If you are super hungry, Souvlike might just be the place for you. We asked for the plate for two and it was humongous! We didn’t eat for the rest of the day; the quality was as good as the huge quantity you get! If you are a fish lover, you will love Fishes & Seafood. Their fishes are freshly caught every day and they only serve traditional recipes. Their olive oil is sooooo good! We loved this place so much that we went twice. For breakfast, we went to the different bakeries to have either a spanakopita or croissants. My husband was in love with the Greek coffee (it's the same as the Turkish coffee, but Greeks call it Greek coffee) and I was in love with the freshly squeezed orange juice! This ancient temple seemed to have blended-in perfectly with the landscape, perched in the mountain overlooking the ocean. The temple is only 40 minutes away from Varkiza by bus, perfect for a half-day trip. The temple is worldly renowned by the view of the sunsets. Using the same tips as above, we decided to go to the site in the morning. Even though we did not have a chance to admire the sky spectacle, we were one of the few persons admiring the place. How to get there: The only way to get there is by taking the Ktel bus, finding the route and the schedule for this bus is difficult, it almost seems to be a ghost bus. As there is no exact schedule for every stop, you might have to wait at the bus stop for a while. Don't get discourage, it will eventually arrive! Did you know that Santorini has around 10,000 tourists visiting the island each day? I certainly wanted to avoid the sea of tourist looping between Santorini, Naxos & Hydra. So, in search of a more calming place, I found Serifos, the perfect island mixing traditional architecture & untouched nature. 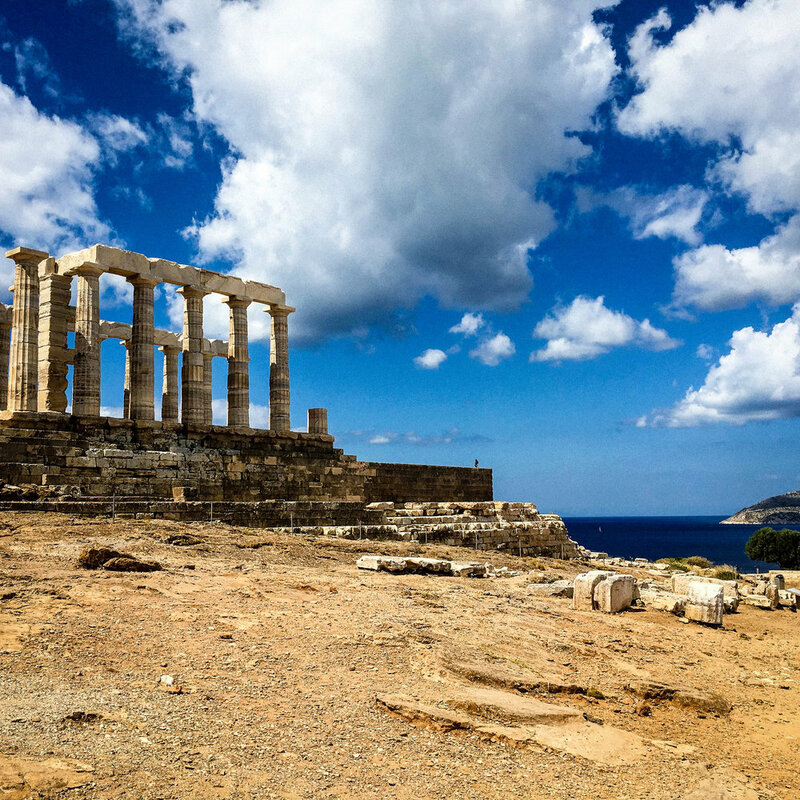 Located in the west of the Cyclades, only 3 hours away from Athens by speedboat, this hidden gem is a perfect day trip or a weekend getaway if you wish to relax and enjoy the Greek life. 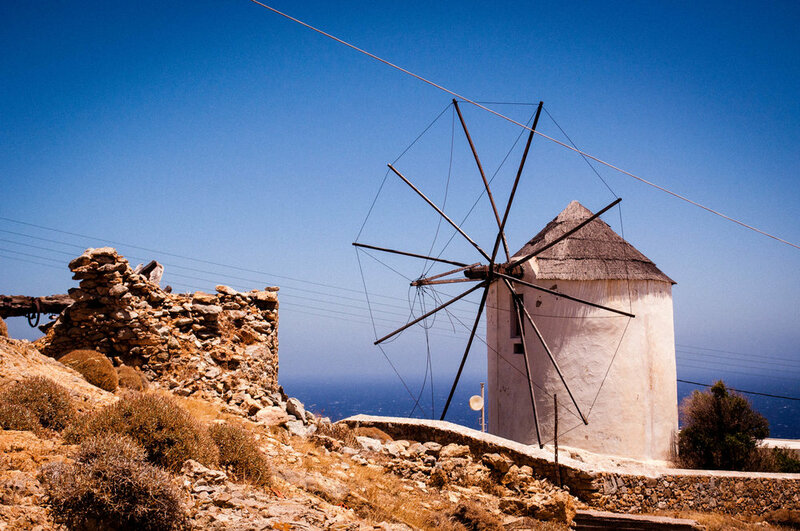 The charming island is full of white and blue houses, old windmills, churches with blue domes and has authentic cuisine and beautiful beaches. 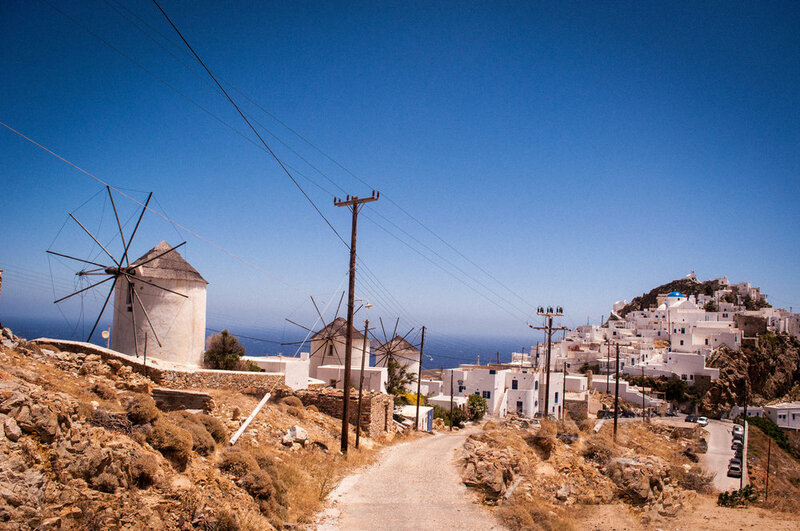 Chora, the capital, situated at the top of the hill and gives you breathtaking views of the island and the Aegean Sea. The mountains and its arid landscape perfectly contrast with the blue waters and the white architecture. The island has several small towns, all easily accessible by bus, hiking or by car. Rich in history, Serifos is associated it is mining strike at the beginning of the century. Now abandoned, the area around the mines provides surreal hikes with amazing viewpoints mixing nature and rusted mining bridges and rail cars. Do you have other tips on how to avoid tourists? Let me know in the comments below!